Shows how athletes in the Tour de France use grounding/earthing for accelerated recover and healing from injuries. The Earthing Recovery Sports Bag was initially designed for Tour de France cyclists and has since become a popular sleeping accessory with athletes and travellers. Many people also sleep in them at home, enjoying the effect of being cocooned in the Earth's energy. The Earthing Recovery Sports Bag can be used either as a sleeping bag or as a flat sheet. Zipped up, it measures 102cm (40") wide by 213cm (84") long, and forms a spacious sleeping bag for one person. When unzipped it will lie completely flat, measuring 204cm (80") wide by 213cm (84") long, and will accommodate two people sleeping on top of it. Placing your bare body in the Earthing Recovery Sports Bag or on the open sheet grounds your body to the Earth during sleep. 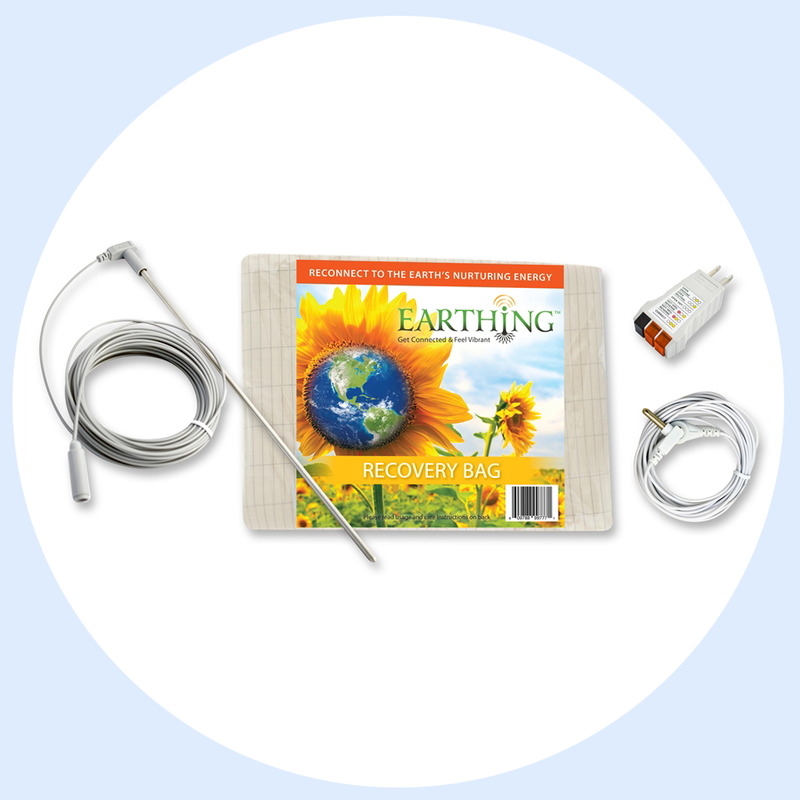 The recovery bag connects to the Earth while plugged into the grounded port of your outlet or with a ground rod. One end of the cord snaps onto the bag/sheet. The prong end of the cord can be inserted directly into either an adapter plug and then into your electrical wall outlet or connected to the grounding rod. The recovery bag may be machine washed at a warm temperature (up to 40°C / 105°F). It may be tumble dried using a medium setting (up to 65°C / 150°F). Do not dry clean. Do not use chlorine bleach or liquid fabric softener, or any detergent containing bleach or fabric softener, as this can impair the conductivity of your bag. If necessary, a hydrogen peroxide based whitener can be used to remove stains. Avoid applying lotions, creams, or oils to the skin before bedtime on parts of your body that will be in contact with the recovery bag. Such substances oxidise and can impair conductivity. Share your thoughts with our community!